You have the sweetest pictures of your little guy and you scrap them beautifully! Your clusters are always amazing! Wow Sheri!! When I grow up, can I scrap just like you? This is so amazing and so beautiful!! 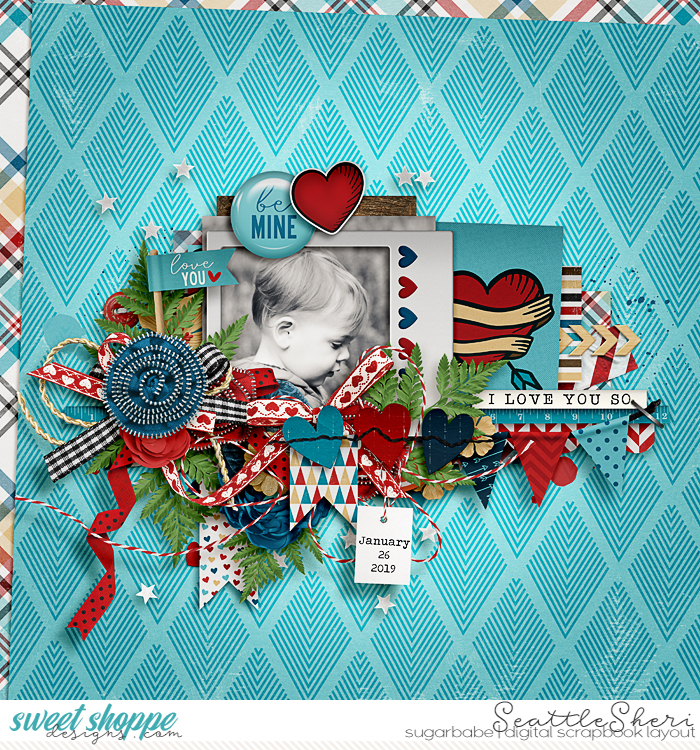 I love the angle of the background papers, the gorgeous clusters and shadows that you used on this page--wow, gorgeous! Just wow!!! Love everything about your layout.